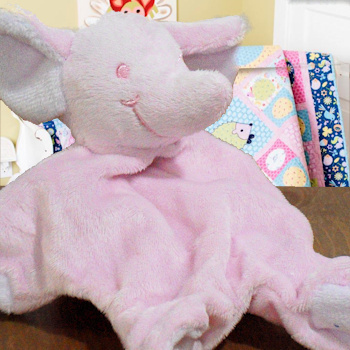 Little pink elephant baby comfort blanket. Little pink elephant baby comfort blanket. Super soft plush comforter with ears and legs to grasp. Very tactile little comforter, and a great travel size. Little pink elephant baby comfort blanket. Super soft plush comforter with ears and legs to grasp. Very tactile little comforter, and a great travel size. Fabric made from easy care soft polyester. Machine wash warm and tumble dry on low. 18cm approximate size. 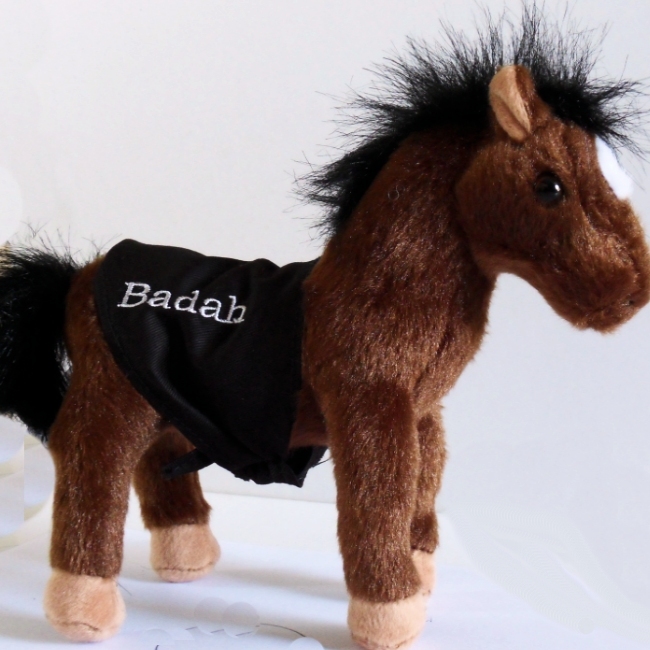 Personalised with embroidered initials in your choice of letter font style in the centre of the chest.